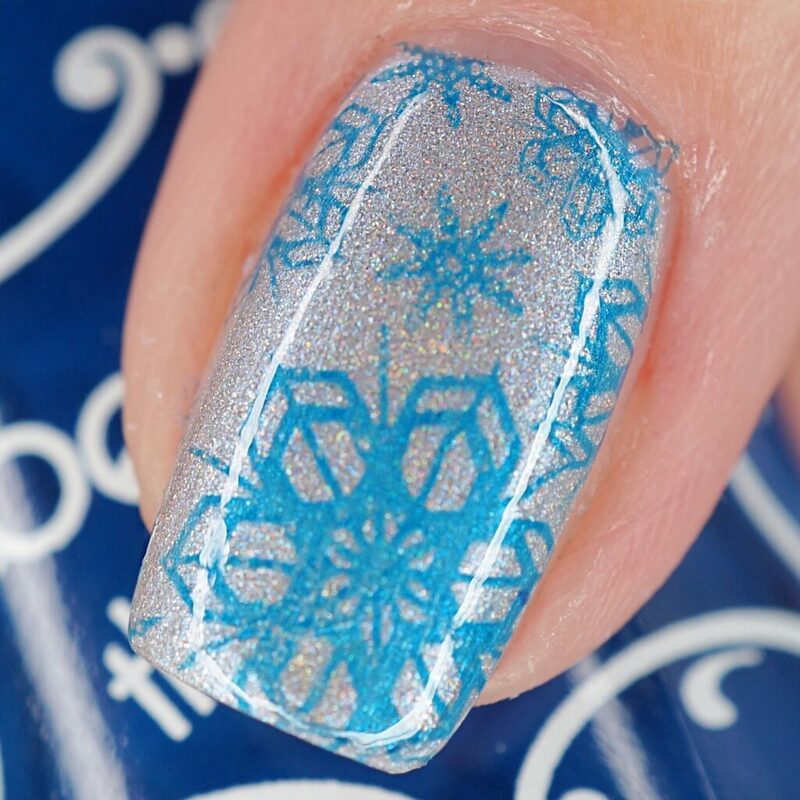 I think I do about 2 or 3 different snowflake nail designs before Christmas every year, and I never really post them because they’re all very similar. So I think I’ll at least post one this year, especially when it goes so well with one of my new polishes! I started this manicure by painting my nails with one coat of OPI – Nail Envy. I followed it up with three thin coats of Beyond the Nail – Ghost of Christmas Present (a holographic silver polish with a blue shimmer). When it was dry, I stamped over it using Beyond the Nail – Navy Blue Creme and Bundle Monster – Stamping Plate BM-323 (now Maniology). To finish off the look, I painted over each nail with one coat of Beyond – Top Coat. 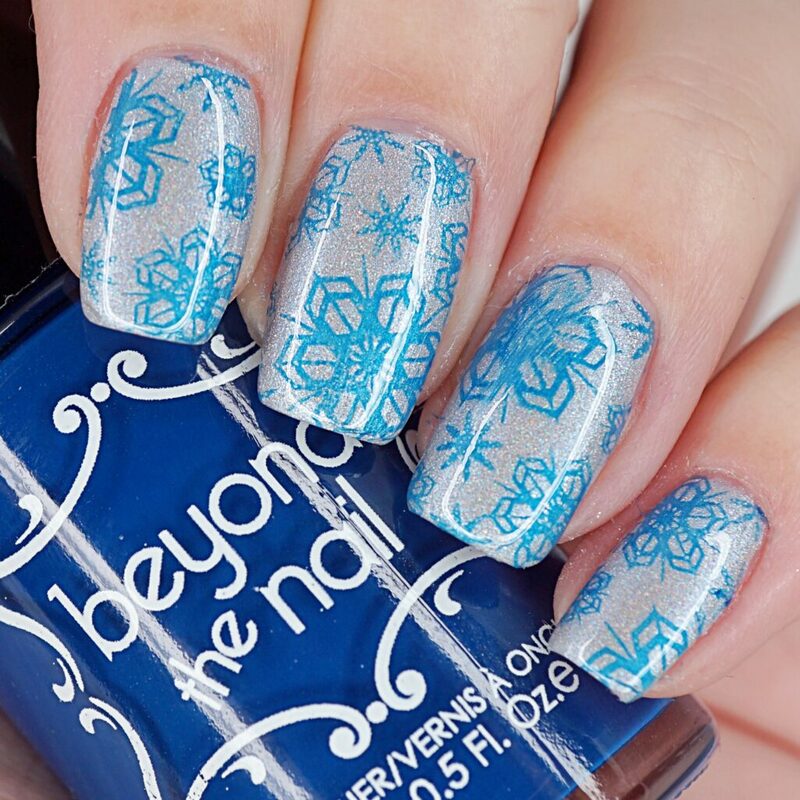 What do you think of these Blue Shimmer Snowflake Nails?